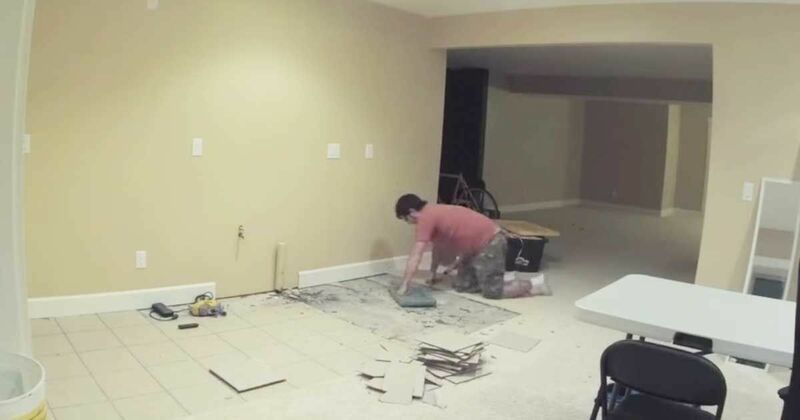 Andrew Payne posted a time lapse video on Youtube showing the extraordinary transformation of a basement into a multi-purpose craft room. The video shows Payne building shelves, and then filling them with a craft dreamland. Payne installs industrial style light fixtures and hardwood floors, and builds tables. During the big reveal on Valentine's Day, Payne's daughter walks in followed by her dog and says, "Holy Moley! This is awesome!" When Payne's wife sees her new craft room, she's speechless. The video has been viewed more than 3.2 million times since it was posted in February 2014. Comments such as, "You can really tell he loves his family," "Quite inspiring," and "I love this! What a lucky wife and daughter," show the impact of these thoughtful gestures and touching videos. Everyone works more efficiently from a checklist. Here's one for keeping any home in tip-top shape. 'Outdoor living' doesn't have to be rustic; sometimes all you need is to step outside of your home, take a breath of fresh air and relax somewhere comfortable. Most people with an attic likely use the upstairs space for storage.